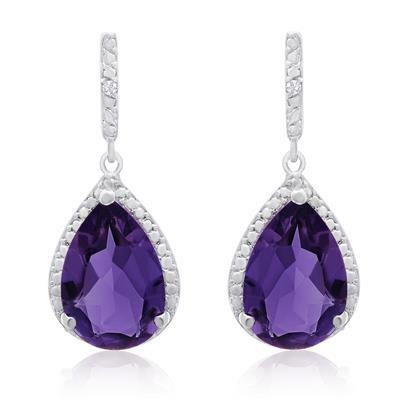 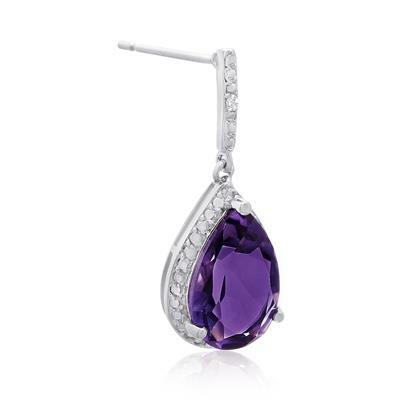 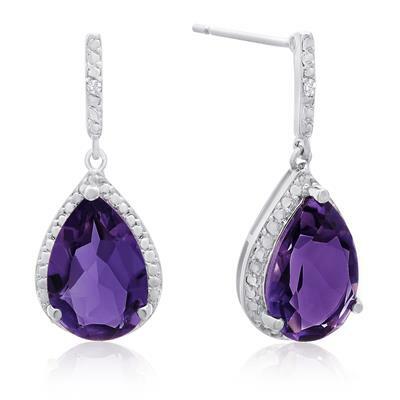 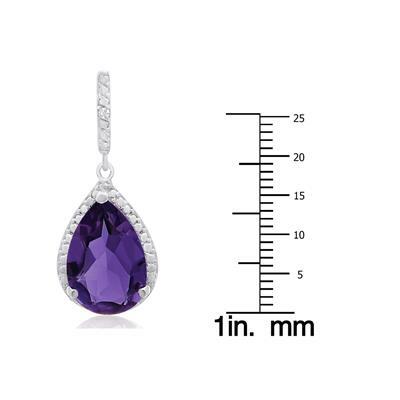 These earrings feature 2 HUGE 12x8 pear shape amethyst gemstones weigh 3.50 carats each. 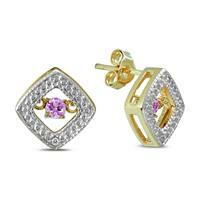 They are surrounded by sparkling diamonds in J-K color, I1-I2 clarity at 0.01 carats. 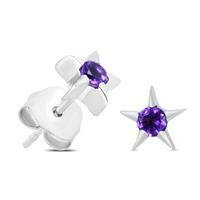 These earrings are crafted in platinum plated brass and have secure friction backs. 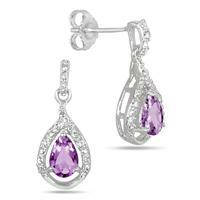 Earrings dangle down 1 inch. 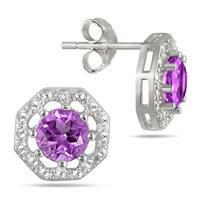 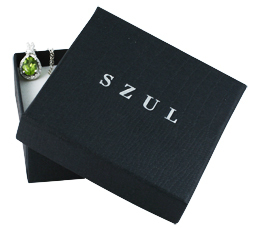 A great pair of earrings perfect for casual and formal wear.